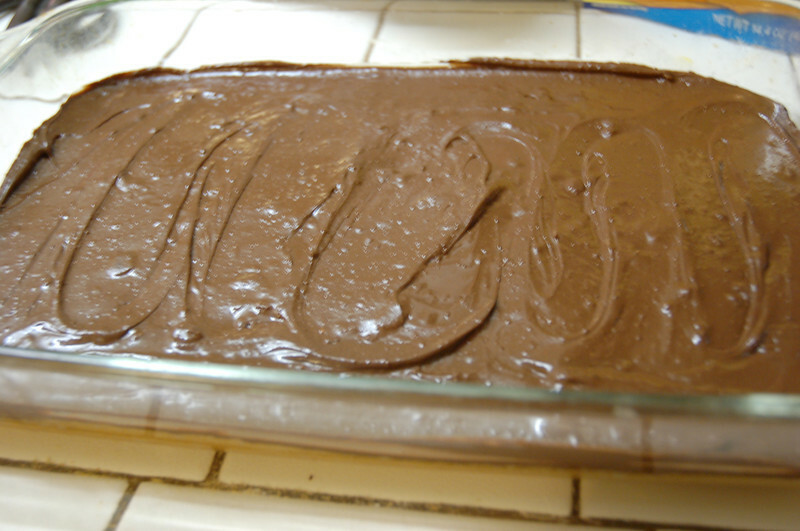 Five Ingredient Peanut Butter Cup Bars Mama Say What?! | Mama Say What?! I’m in deep, deep trouble. After making and trying this recipe that I found on Pinterest, I think I blacked out and missed a few minutes of my life. This ranks up there with the Salted Caramel Pretzel Bark as one of my new go-to recipes for parties, housewarming gifts, get-togethers and… Wednesday nights. 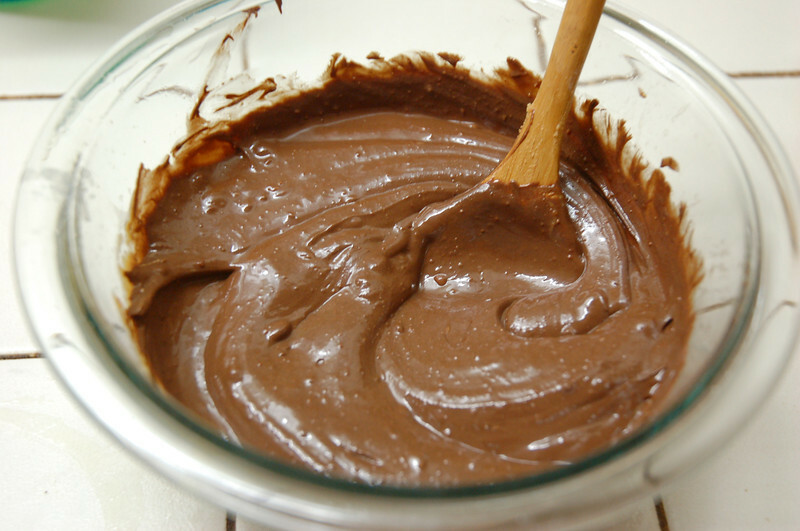 It couldn’t be simpler with only five ingredients! They taste like homemade Reese’s Peanut Butter Cups, only bigger and better. 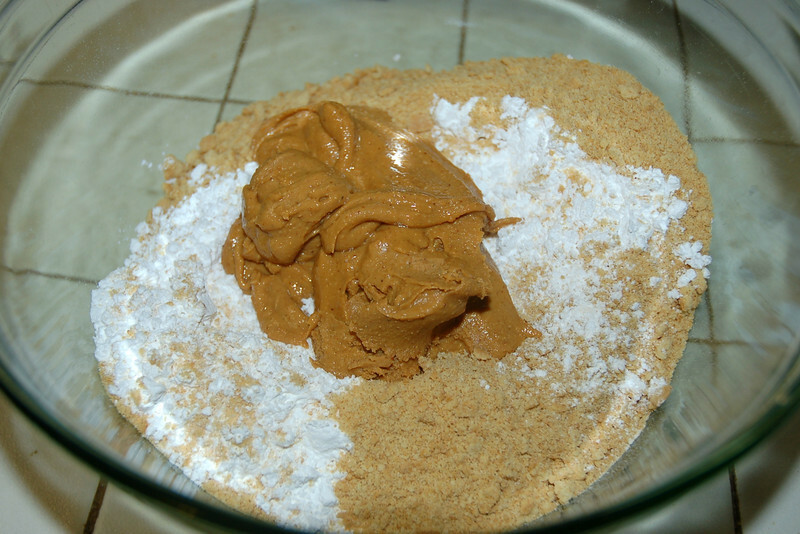 Combine confectioners sugar, graham crackers and 1 cup peanut butter. Add melted butter and stir until well combined. 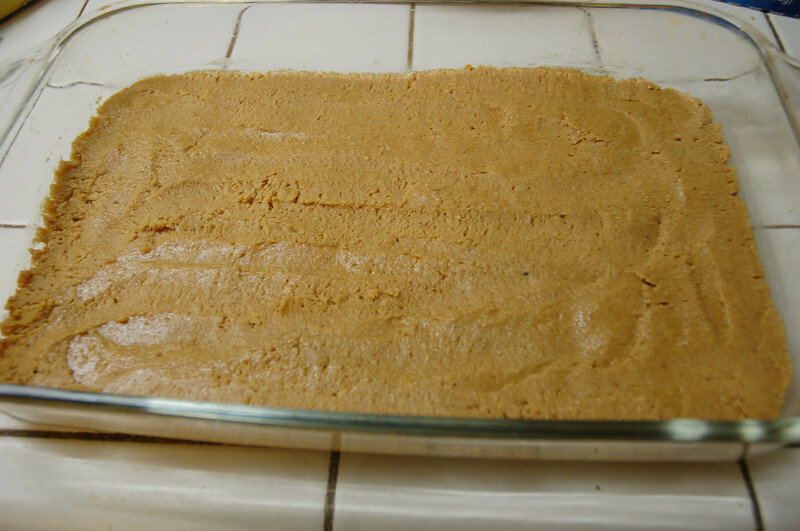 Spread mixture into an ungreased 9″ x 13″ baking dish. 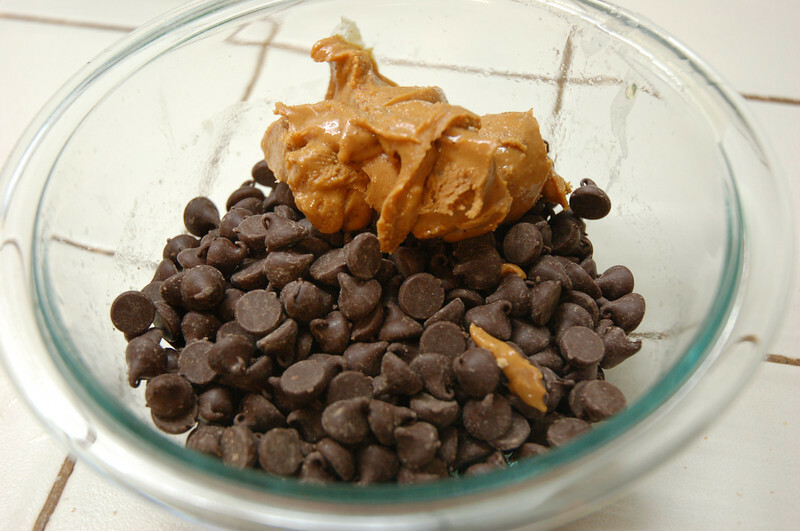 Combine chocolate chips and remaining peanut butter in a microwave safe bowl. Microwave on high in 30 second increments and stir until melted. 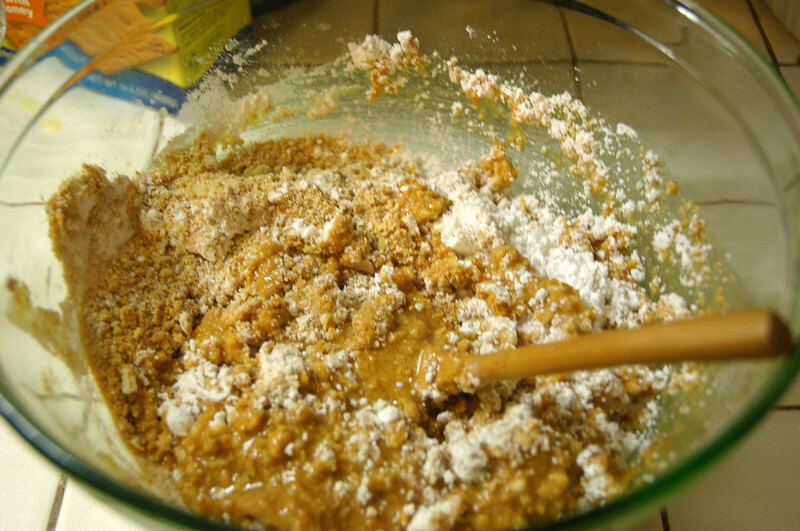 Spread the chocolate mixture over the top of the graham cracker mixture. Let cool in the refrigerator for one hour. Cut into squares and enjoy! I cut this into 24 good-sized squares, but they are so rich that they could be cut smaller and still be very satisfying. You’ll either thank me or hate me… or possibly both at the same time! Thanks to Bakerlady for the amazing recipe. Added by MaryEllen M. on December 7, 2012. I made these as an additional dessert for Thanksgiving and they were amazing!! Thanks for sharing the recipe!! I cannot wait to make these! 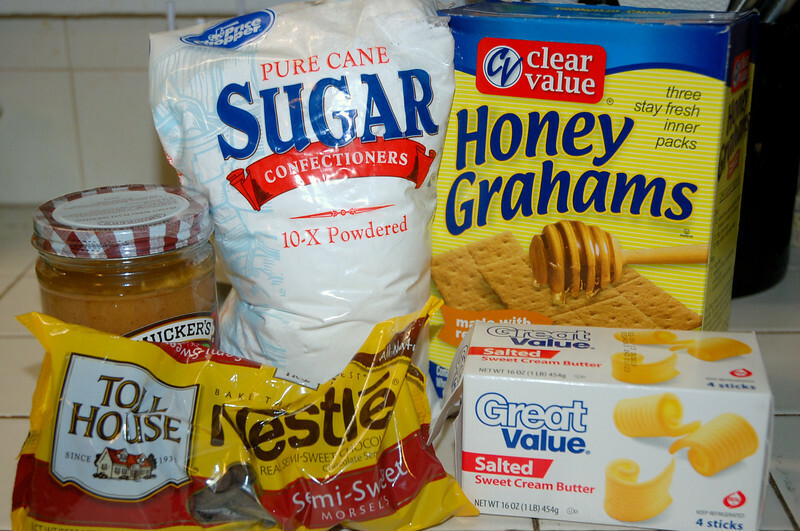 Now that I’m in the states and have access to Graham crackers, I’ll be making them ASAP! I make these all the time! I actually just made them again yesterday for my niece’s birthday party. Delish! YUM! I can’t wait to make these!! Going to have to try these for sure! We used to make these growing up! 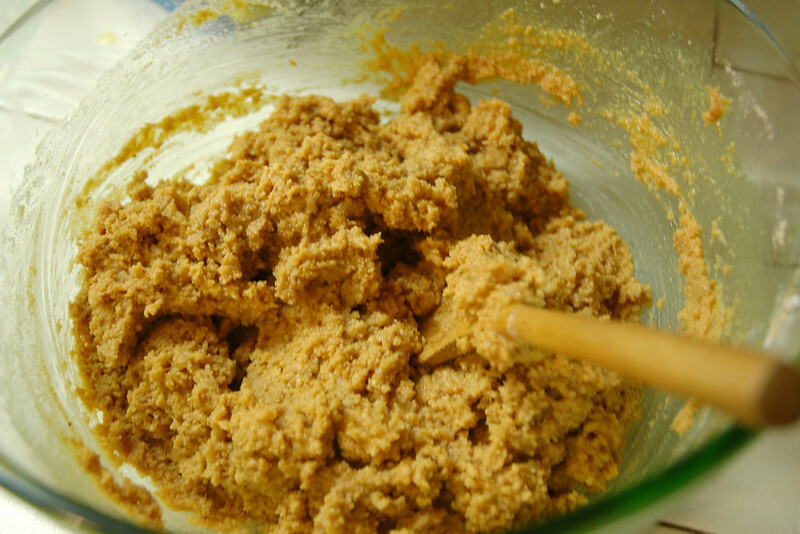 If you’re peanut free you can use almond butter – different but still good! We will be trying these during our holiday baking marathon – yum! These look so yummy!! I think I will be making them this weekend. 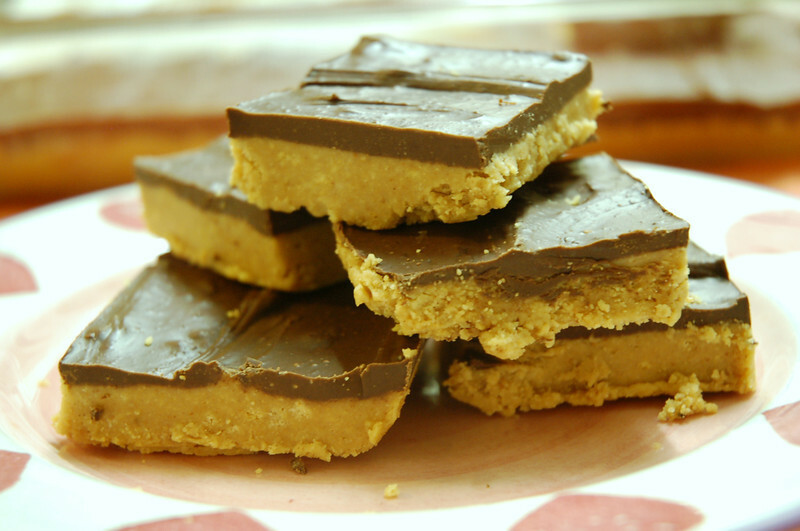 I made these today and they’re already almost gone- what a HUGE hit! Thanks for the recipe!